It's only 100-days before the start of the London 2012 Olympics - and athletes' preparations are starting to get serious. 26 year old long jumper Chris Kirk's ones of those athletes - he's hoping to cement his place in the Team GB squad. To qualify, Chris needs to jump a distance of 8.2 Meters and has until the 22-24th of June to qualify at the UKA AVIVA Olympic trials - a competition for British athletes to go head to head to compete for their place on the Great Britain team at the Olympics. Chris JUST missed out on the 2008 Olympics in Beijing by 12cm's. 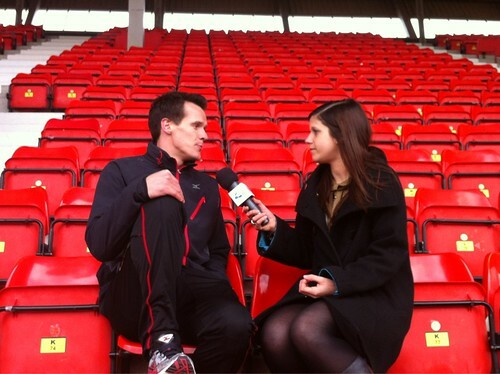 Capital's Anna Harding caught up with Chris as he trained at Gateshead International Stadium - and talked about everything from his training regime, diet and the North East playing its part in the 2012 Games.